This is my 18 month old daughter, Lydia. 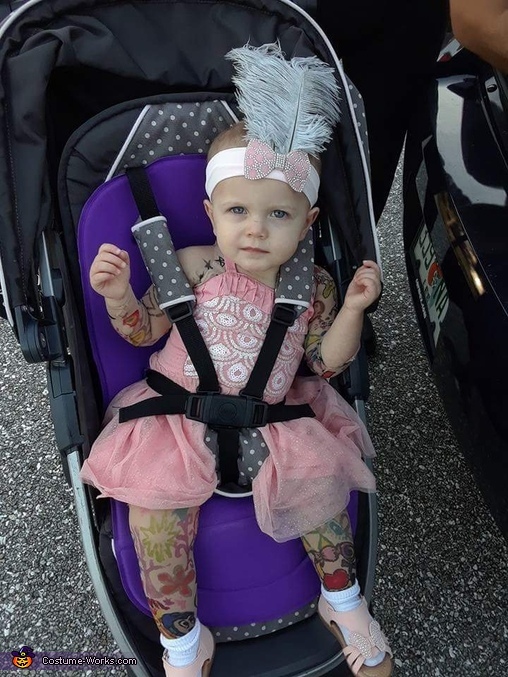 We went as a family of sideshow freaks, so she is dressed as the Tattooed Lady. The "tattoos" are sleeves and leggings made from a set of pantyhose that I hand drew on with permanent markers.